After much preparation and anticipation, the Commission on the Status of Women (CSW) is finally here! The exhilaration and exhaustion, wildness and wondrousness of CSW has begun. On Saturday, International Women’s Day, WILPF held an orientation for participants where we met old friends and new ones, shared information, coordinated strategies and planned action. Participants took part in a “No Development without Disarmament” activity, watched a video about WILPF’s “Women’s Power to Stop War” movement and centenary gathering in The Hague April of 2015, and took part of the #100women4peace photo campaign. On Sunday, many participants also attended NGO CSO’s Consultation Day with over 900 other women advocates from around the world, which included briefings and networking opportunities regarding on this year’s priority themes. It was a great start to the week! 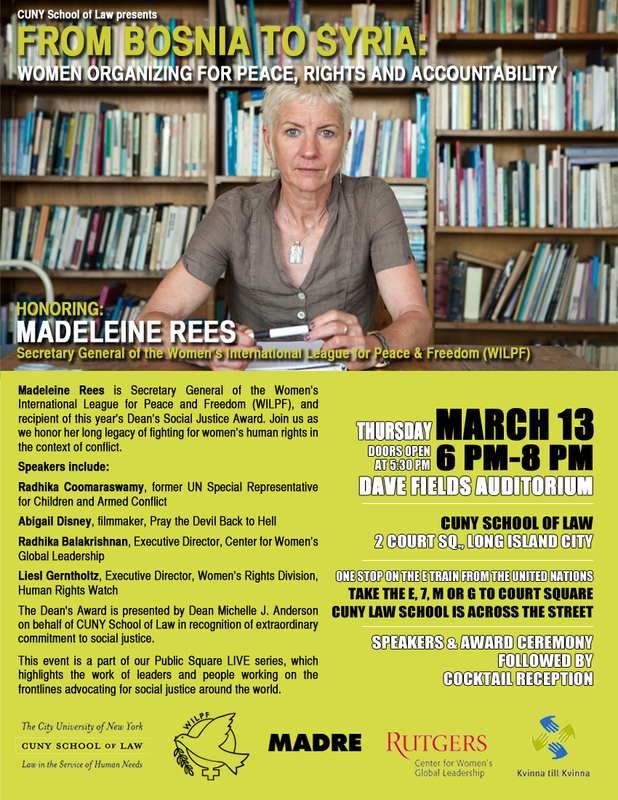 This week, we are looking forward to many events, from our main event, “No Development Without Disarmament” to a “From Bosnia to Syria” event honouring the extraordinary work of WILPF Secretary General Madeleine Rees. For a sampling of our agenda, check out PeaceWomen’s overviews of WILPF and other events related to the Women Peace and Security agenda at CSW. If you haven’t yet, join us in being one of the #100Women4Peace photo campaign and share a photo of yourself saying why you support our movement, Women’s Power to Stop War. We hope to see you at one of our events, or follow along with you on social media with our hashtags #WILPF100 #WSW2015 #DisarmSDGs and @WILPF @Peace_Women. How is your experience at CSW or following CSW going so far? Please share your experience in the comments below or follow us on Facebook or Twitter.